Downtown Dietitian: What? No Milk! Can you imagine a day without the rich nutrition of dairy foods? I certainly cannot, no way, not me! I've been drinking milk and eating cheese and ice cream ever since I can remember. Without diary foods in my daily diet I would run the risk of developing diabetes, obesity, high blood pressure, and osteoporosis. Read on and, oh, pass the milk please! On June 22, 2010, I found myself at the Dairy Science Forum in Alexandria, Virginia, to explore the science and solutions for a condition known as lactose intolerance. I joined fellow health and nutrition experts and leaders from across the country in a two-way dialogue on the best approaches for translating the latest scientific guidance on lactose intolerance into a road map of practical solutions to share with you, my clients, my friends and the public. This was a communications workshop designed to come up with an action plan to plot a new course to address lactose intolerance myths and provide a variety of tailored solutions for those who live with lactose intolerance. Most of us have heard of lactose intolerance. Yes, and some of us live with it. It's a relatively rare condition that leads one to eliminate milk products from one's diet. Those with lactose intolerance are not able to completely digest lactose, the natural sugar in milk, because they do not produce enough of the enzyme lactase which digests the lactose. The incomplete digestion of lactose can result in some abdominal discomfort which is why people with this condition start to avoid milk products. stop the abdominal discomfort, we invite a whole set of health risks, like diabetes and obesity. The myth that people with lactose intolerance cannot have milk products is, well, a myth! Small amounts of lactose can be tolerated by those with lactose intolerance when it is introduced into one's diet gradually in small amounts. 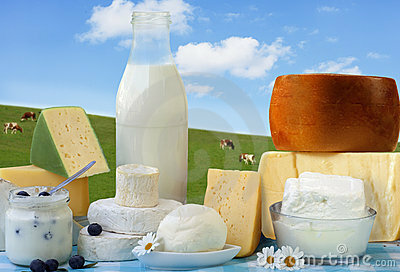 There is another great option that can be used to stay well nourished if one must contend with lactose intolerance. Products such as Lactaid are widely available. Lactaid is real milk which has been processed to eliminate the sugar lactose. Lactaid has all the same great nutrients that real milk has and can be used in recipes just like real milk because it is real milk. Contact me for a free coupon! 1. Pick out a fun glass. 2. 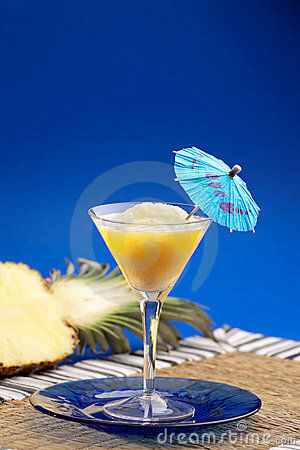 Mix pineapple juice and buttermilk to taste. Aaahhh! Life with dairy is so good! Always positve, never bored, loving life, playfully mischievous at times, a true blue Hoosier who still loves to buzz the circle downtown Indy, top down, on a balmy evening with a little dirt under my fingernails just to prove I'm both city & country girl, studious & adventuresome. And my initials really are T.L.C. !